If you are looking to enhance your backyard landscaping or discover new landscaping ideas, call Krob Landscape for all of your landscaping in Orange Beach, AL area. The expert landscapers at Krob Landscaping are experienced in backyard and front yard landscaping. There is no landscape job that is too big or too small, let krob Landscape handle all of your Landscape services. Krob Landscape prides its self on creating long lasting landscape designs and unique landscape ideas. 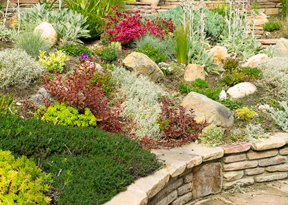 Our team of landscapers is the most experienced and skilled landscape designers in the industry. They use the most up-to-date landscape equipment for cutting edge technology. Krob Landscape specializes in Landscape Maintenance, Landscape Installation, and Landscape Design in Orange Beach, AL and Baldwin County. We at Krob Landscape have an eye for knowing how to best transform your outdoor living space into a green oasis. We strive to keep Orange Beach, Alabama beautiful by providing both commercial and residential landscaping. Summer is almost here and we want to make sure you have the front yard and backyard landscaping you have always wanted. Call Krob Landscape today for your free landscape consultation in Orange Beach AL.